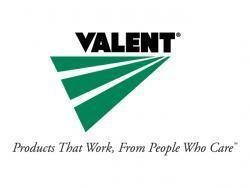 Valent U.S.A. Corp. recently agreed to sponsor two Future Farmers of America (FFA) Agriculture Proficiency Awards. Valent will sponsor the Grain Production – Entrepreneurship award, which honors students who have excelled in effectively and efficiently incorporating the best management practices to produce and market grain crops in their operation. The company also will sponsor the Nursery Operations – Entrepreneurship/Placement award, which honors the student who has excelled in his or her own business or business placement that is focused on turf, ornamental plants, shrubs or tree production, for the purpose of transplanting or propagation. In addition, Valent also will provide funding to assist in the creation of an agriculture stewardship and advocacy platform designed to educate FFA's membership on science-based facts and agriculture's global role. "Our expanded sponsorship around advocacy and education will encourage dialogue with students about the critical issues facing our industry today, such as the products and techniques used by growers and the role they play in producing the crops that feed and clothe our world," Valent Executive Vice President and Chief Operating Officer Matt Plitt said.